John Garruto is the NYASP President. He is a school psychologist for the Oswego City School District, a role he has had since 1999. He is also an adjunct professor at SUNY Oswego. His primary interests are for the assessment of learning disabilities, neuropsychology, and professional school psychology. He served for five years as Research Chair for NYASP and for two years as Speaker Chair for the 2011 and 2015 NYASP conferences. He also currently serves as an at-large member for the NASP Ethics and Professional Practices Committee. Dr. Garruto has presented at the local, regional, state, national, and international levels. 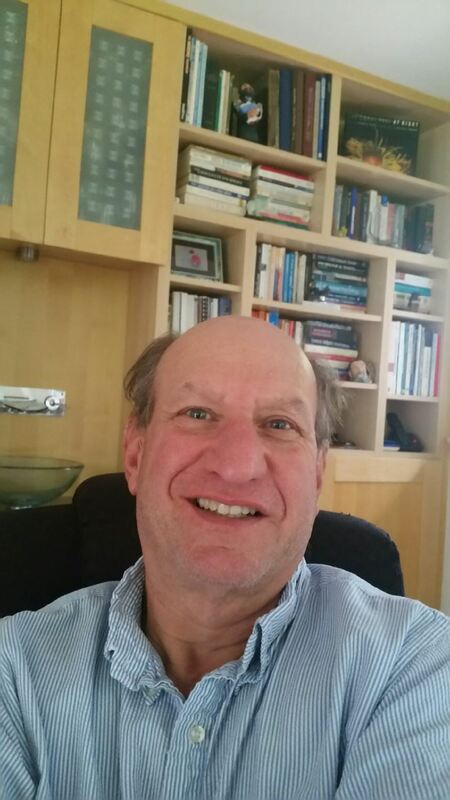 He has also authored and co-authored book chapters on emotional neuropsychology, report writing, and most recently is a co-author of the book “Essentials of Woodcock-Johnson IV Tests of Cognitive Abilities.” He can be reached at garruto.nyasp@gmail.com . 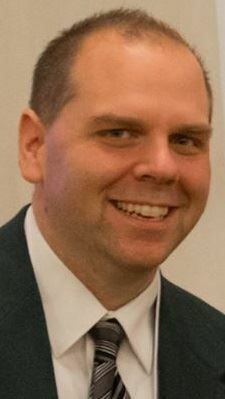 Andrew Livanis is the current NYASP Past President. He is a NYS certified school psychology as well as licensed psychologist, licensed behavior analyst and a Board Certified Behavior Analyst. Dr. Livanis is the ABA Coordinator and Supervisor at All in One Spot which provided Early Intervention services to children diagnosed with ASD. (http://www.spotwiththeratalk.com/). He is also the Chief Psychologist and Behavior Analyst at LBC services (http://www.astoriabehavior.com/), where he sees clients with a variety of developmental, externalizing and internalizing disorders. Dr. Livanis’s research interests are: ABA programming for skills instruction geared towards children, adolescents and adults diagnosed with Autism Spectrum Disorder; ABA Parent and Teacher Consultation; Program Review and Monitoring; Functional Analysis and procedures (interventions) to teach new behaviors and reduce challenging behaviors; Treatment Integrity and Fidelity; Behavior Therapy for externalizing and internalizing behavior issues; and, Curriculum Based Measurement of the Academic and Social Skills of Children Diagnosed with ASD. Elizabeth Rizzi, MA is the NYASP President Elect. Beth is a School Psychologist at John Jay High School in the Wappingers Central School District where she has worked since 2009. Her areas of work interest include assessment for learning disabilities, cross battery assessment, teacher consultation, and in school counseling to improve student outcomes. Health and Wellness are a passion for Beth in all aspects of life, both personal and professional. Beth can be reached at beth.nyasp@gmail.com. 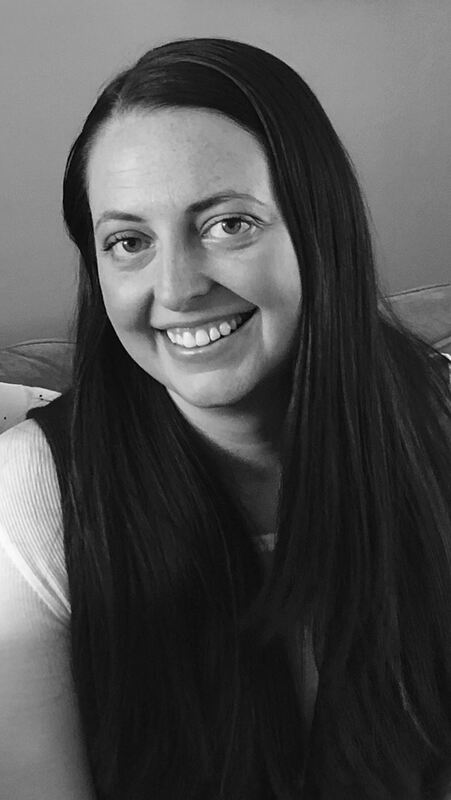 Courtney Huguenin is the NYASP Secretary and a School Psychologist in the Connetquot Central School District on Long Island. She received her M.A. in Psychology in Education from Teachers College, Columbia University and her M.S. in School Psychology from St. John’s University. Prior to becoming a School Psychologist, Courtney was a special education teacher in New York City. Her professional interests include advocacy for mental and behavioral health services, school crisis preparedness and response, and factors which influence the effectiveness of school-based counseling. Courtney is also very excited to be serving as a committee member for the NYASP 2020 Annual Conference on Long Island. Courtney can be reached at secretary@nyasp.org. 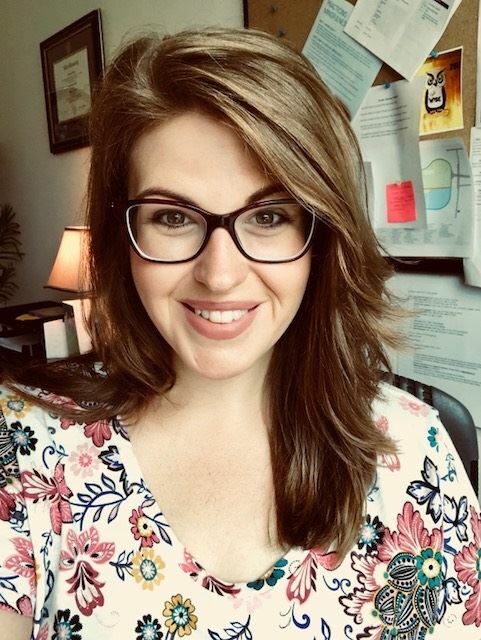 Dr. Stacy A. S. Williams is an Assistant Professor of Psychology at Marist College, a Licensed Psychologist and Certified School Psychologist in New York State. As a founding member of the Creating Inclusive Communities (CIC) group at Marist, Dr. Williams and her colleagues have provided inclusion training to faculty within the School of Social and Behavioral Sciences to support diversity and inclusion activities in the classroom. In addition, Dr. Williams has consulted with other departments at the college to support their race pedagogical development. Dr. Williams is also involved in social justice initiatives and training at the college, where she is currently working with the Diversity Council Training and Assessment Team in developing a social justice-training model for the college. At the national level, Dr. Williams serves on the Trainers of School Psychologists (TSP) executive board, where she co-chairs the Social Justice task force and serves as membership coordinator. In addition, Dr. Williams mentors students and early career faculty of color through the National Association of School Psychologists (NASP) mentoring program. At the state level, Dr. Williams has mentored school psychology candidates, created and managed content for the state association annual conference. Dr. Williams has also consulted with Instructional Support Teams (IST) in upstate New York and Connecticut, working closely with school psychologists, general educators, administrators, and support staff integrating Response to Intervention (RTI) initiatives at the IST level. She has also consulted internationally, bringing RTI strategies to rural classrooms in Jamaica, her home country. Dr. Williams regularly provides training in social justice, creating inclusive classrooms, academic and behavioral interventions, data-based decision-making for teachers, and university/school partnerships. Dr. Peter Faustino has been working as a school psychologist for more than 20 years. He is currently the NY Delegate for the National Association of School Psychologists and a past President of the NY Association of School Psychologist. Dr. Faustino proudly works at Scarsdale High School, serves on the Family Services Committee for Autism Speaks and maintains a private practice with the Developmental Assessment and Intervention Center (DAIC) in Bedford Hills, NY. He presents frequently at state and national conferences. Dr. Michael Paff is the Editor of the NYASP Newsletter and the Multicultural Issues Committee Chair. 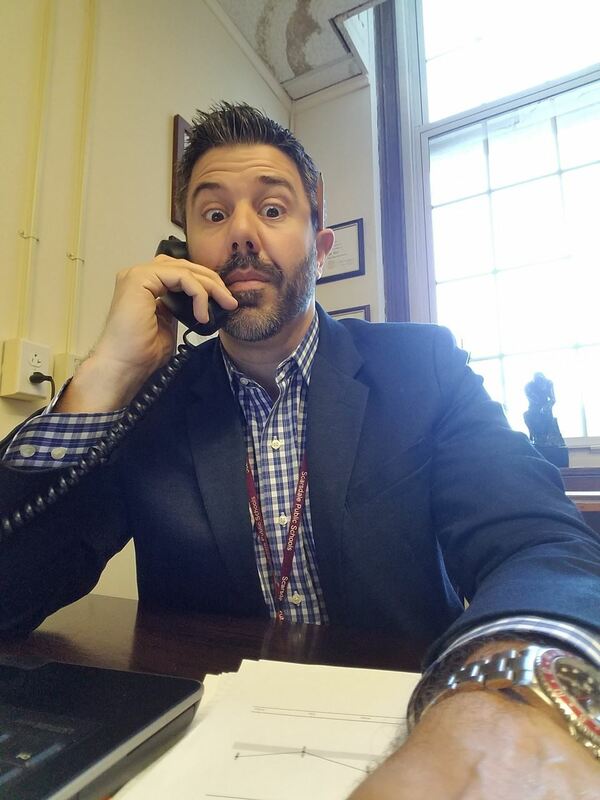 He is a licensed psychologist and school psychologist at Highland High School in Ulster County, where he also works as the CSE and 504 chairperson, as well as a Dignity Act Coordinator. 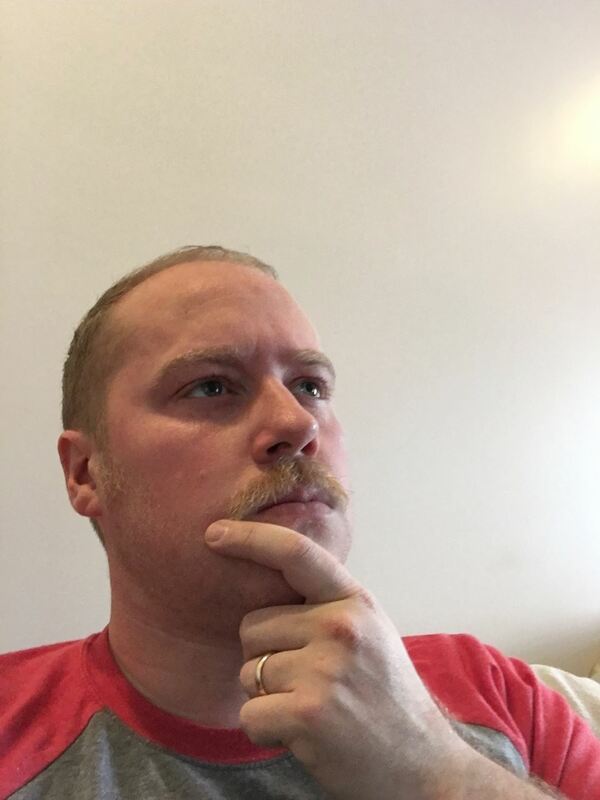 Mike's professional interests include multidisciplinary assessment, supervision, supporting students with emotional/behavioral needs, post-secondary transition, PBIS, and the needs of LGBTQ students. Mike can be reached at paff.nyasp@gmail.com . NYASP on the Safe Schools Task Force, PPS Advisory Committee, and Mental Health Education Advisory Council. Her professional interests include program development for students with special needs and educational leadership. Shauna can be reached at shaunacmaynard@gmail.com. Dr. Lisa Kilanowski the NYASP Liaision to the Trainers in School Psychology (TSP) and Co-Editor of the School Psychology Archives (SPA). She is an associate professor of school psychology at Niagara University, where she has been employed since 2006. She is also the school psychology program director. Dr. Kilanowski's primary research interests include response to intervention, reading disabilities, assessment and intervention in reading, math, and written expression, school reform and systems change, leadership in the profession of school psychology, and advanced integration of neuropsychological principles and RtI data in the assessment of learning disabilities in K-12 environments. Dr. Kilanowski has also dedicated considerable time to researching school psychologists facility in working with LGBQT adolescents, and increasing awareness of appropriate supports for such youth within the school ecology. 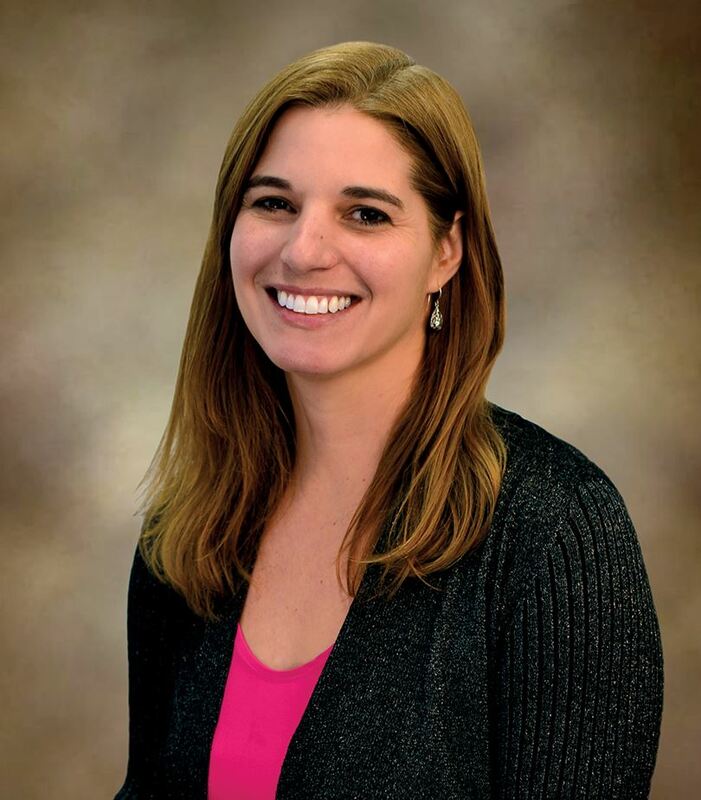 Amanda Nickerson, Ph.D., NCSP, is the Bullying and School Violence Prevention liaison. Dr. Nickerson is a Professor and Director of the Dr. Jean M. Alberti Center for the Prevention of Bullying Abuse and School Violence at the University at Buffalo, State University of New York. Dr. Nickerson’s research focuses on school crisis prevention and intervention, with a particular emphasis on violence and bullying. She has examined the role of schools, parents, and peers in preventing violence and enhancing the social-emotional strengths of children and adolescents. Bruce Weiner is the Liaison to the New York State Council of Educational Associations (NYSCEA). He is a retired School Psychologist, CSE and CPSE chair of 35 years from the Berlin Central School District. He has been an adjunct professor at the College of St Rose for the past 15 years and has helped develop the mentorship program for NYASP. His focus is on best practices for internship supervisors, rural School Psychology, parenting skills, magic and sailing. He can be reached at betsyandbruce@taconic.net. Jennifer Arroyo, M.S. Ed, is the chairperson of the Early Childhood Committee. 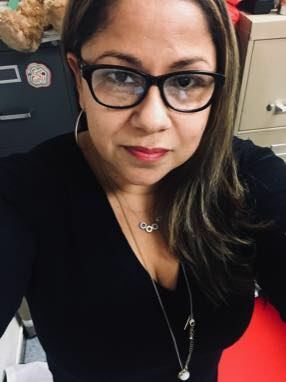 She is a Bilingual School Psychologist with the Newburgh Enlarged City School District in Newburgh N.Y. She began her career serving the Early Intervention and C.P.S.E populations in the Bronx. She then moved on to work with the school age population at Greenburgh 11 in Dobbs Ferry, the New Rochelle School District, the Pearl River School District, Rockland BOCES, and finally at the Newburgh Enlarged City School District. She continues to work with the Pre-K to 12 population conducting bilingual psycho-educational evaluations with Putnam and Northern Westchester BOCES. She is specifically involved in psycho-educational evaluation, the classification of disabilities, 504 accommodation plans, RtI, and counseling. Ms. Arroyo completed her undergraduate degree at Syracuse University (B.A), and both her Master of Science in Education (M.S. Ed) and Advanced Professional Certificate / Bilingual Extension at Brooklyn College of C. U. N.Y.
Merryl Bushansky, Psy.D is a licensed psychologist and retired school psychologist who worked for the New Rochelle City School District for 21 years and the NYC schools for 13 years before that. She is currently the chairperson of the Ethics and Professional Practices Committee. Merryl has served as NASP Delegate from New York and Secretary for NYASP. She has co-chaired two annual conferences and has been a member of several conference committees. Merryl is also the Book Review Editor for NASP's Communique. 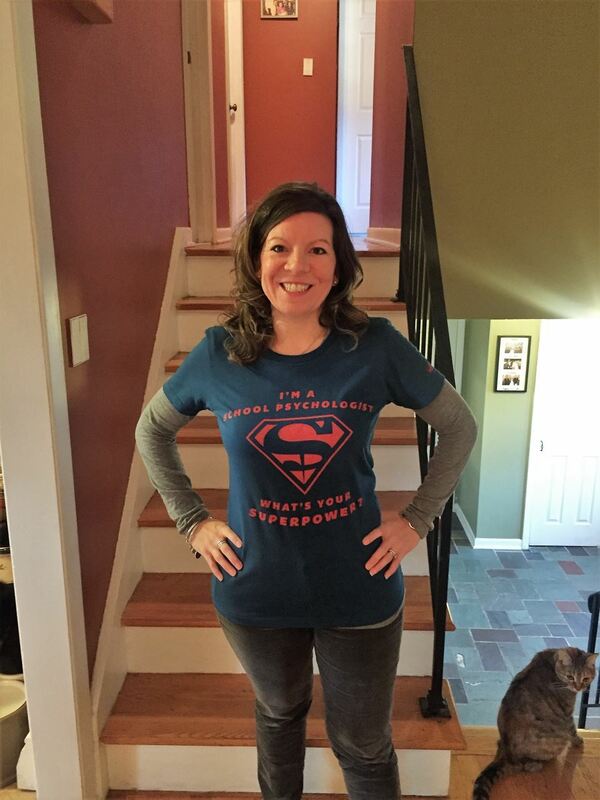 Kelly Caci is a school psychologist in the Newburgh Enlarged City School District in a K-5 elementary school. 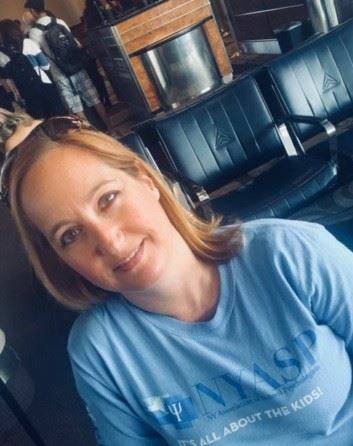 Ms. Caci is the NYASP Legislative Co-Chair, and has served on the NYASP board for 17 years, previously in the capacity of NYASP president and newsletter editor. 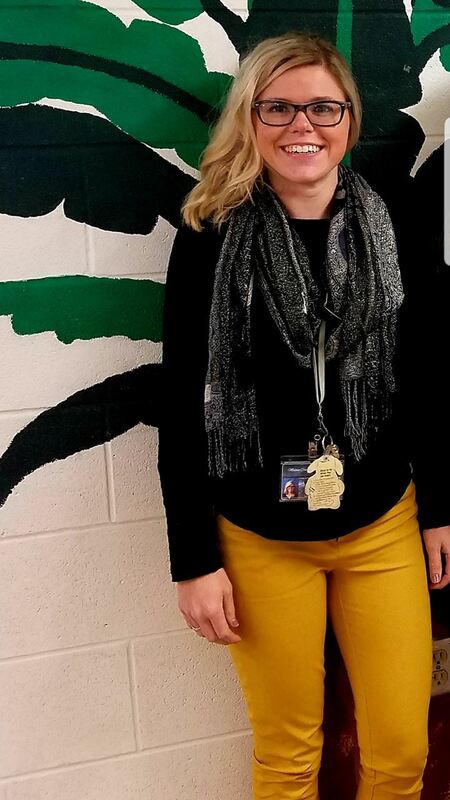 Ms. Caci is a trained Olweus Bullying Prevention Program trainer and coach and has implemented a comprehensive PBIS program, peer mediation program, as well as other preventive social-emotional programs in her current work at the elementary level. She is responsible for the development of the NYASP Children of Warriors toolkit, as well as the NYASP Anxiety toolkit and NYASP Suicide Prevention and Response Toolkit. She also serves on the NYS School Safety Task Force, as well as the NYSUT Health Care Professionals Council. Flora C. Covey, NCSP is the Conference Committee Co-Chair. Flora has been serving on the NYASP board since 2012. She previously served as the chairperson for the 2014 conference in Albany and was a member of the committee for the 2010 conference in Lake George. Flora earned her undergraduate degree from SUNY Binghamton and graduate degree from Northeastern University. Flora has been an elementary school psychologist at South Glens Falls Central Schools since 2005. She is a trainer in Therapeutic Crisis Intervention for Schools (TCIS) and has trained staff in her district in crisis prevention and intervention. Flora chairs the Instructional Support Team (IST) and oversees the Response to Intervention (RtI) process in her buildings. She serves on her district's Mental Health Task Force and leads the Critical Care Committee. Flora is currently pursuing her certificate in Educational Leadership through SUNY Stonybrook. Flora may be reached at flora@clockworkfc.org. Jeanne B. Gold, Ph. D., NCSP is currently Awards Co-Chair of NYASP. She is a Nationally Certified School Psychologist and a NYS Licensed Psychologist. Jeanne retired as Coordinator of the Guidance and Child Study Center at PNW BOCES where she had previously worked as a School Psychologist. She is a reviewer for the NASP Program Approval Board and the member of the Appeals Board of the National School Psychology Certification System (NSPCS) of NASP. Jeanne also served as NYASP Conference Chair in 2009 and Chapter L Representative. She lives in New York, New York. She can be reached at awards@nyasp.org. 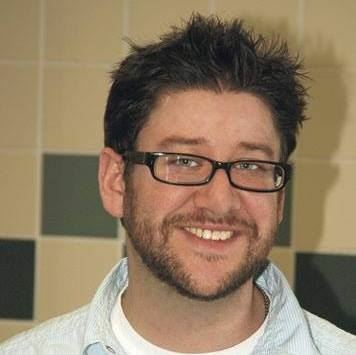 John Kelly, Ph.D. is a school psychologist with the Commack School District. He is also an Adjunct Professor in the School Psychology Program at St. John's University. John is a Past-President of NYASP, Past-President of NASP and the current Co-Chair of the NYASP Legislative Committee. John is the current President-elect of the National Association of School Psychologists. He has served in various leadership roles at the local, state, and national level. John's professional interests and passion is within the area of the provision of mental health services within the schools. 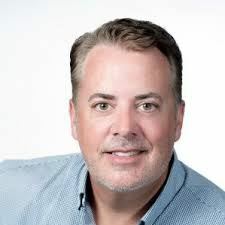 His expertise in advocacy and leadership development is often sought after through professional presentations and workshops, as well as through consultation with school districts, professional and government agencies, and professional associations. Kara McCarten May, MS/CAS, currently serves as the Awards Co-Chair. She is employed at the Cazenovia Central School District as the district behavioral specialist and high school school psychologist. Kara is a proud graduate of SUNY Geneseo and earned her MS and CAS in School Psychology at SUNY Oswego. Prior to serving as Awards Co-Chair she was the Chapter E representative. She has experience as a psychologist at the preschool, elementary and high school level. 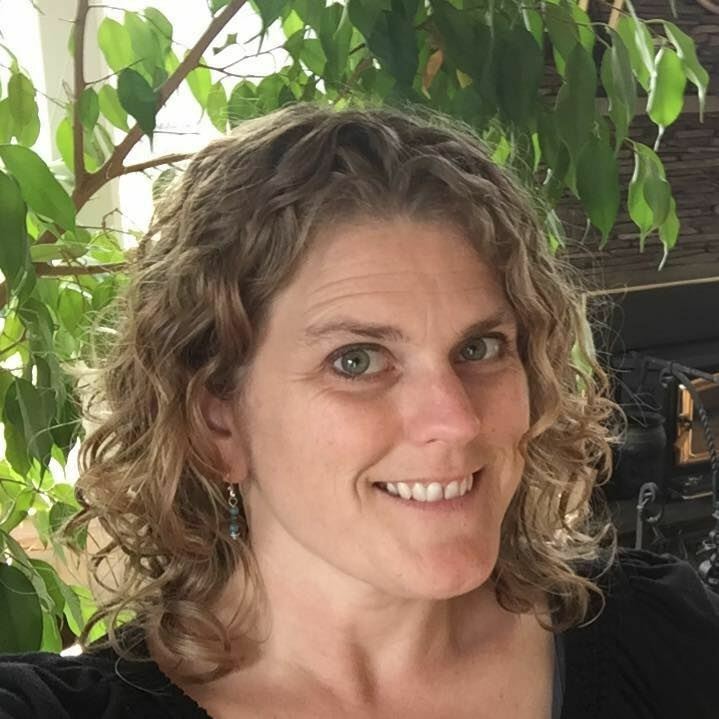 Kara’s primary professional interests include consultation and include assessment and intervention for students with executive functioning deficits.She can be reached at awards@nyasp.org. 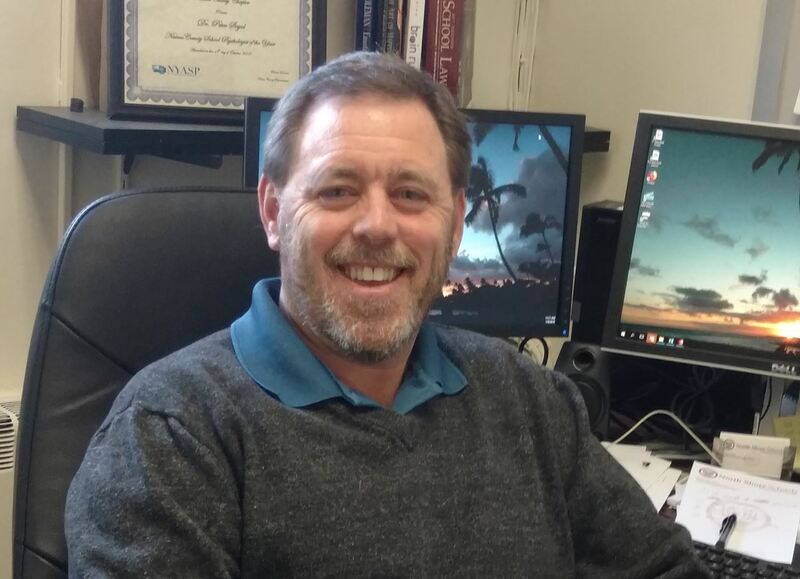 Don Merriman, Ph.D., NCSP is the NYASP Membership Committee Co-Chair and Co-Webmaster. Don has been a school psychologist for over fifteen years. He earned a Ph.D. in Educational Psychology, School Psychology Specialization from The Graduate Center of the City University of New York. Don also holds Master of Science in Education and Advanced Certificate in School Psychology degrees from Brooklyn College of the City University of New York. He holds Permanent Certifications as a School Psychologist in New York and New Jersey, and is a Nationally Certified School Psychologist. Additionally, he is a Licensed Psychologist (New York License No. 019642). Don is currently a full time School Psychologist at Pequenakonck Elementary School (North Salem School District), a position he has held since 2014. 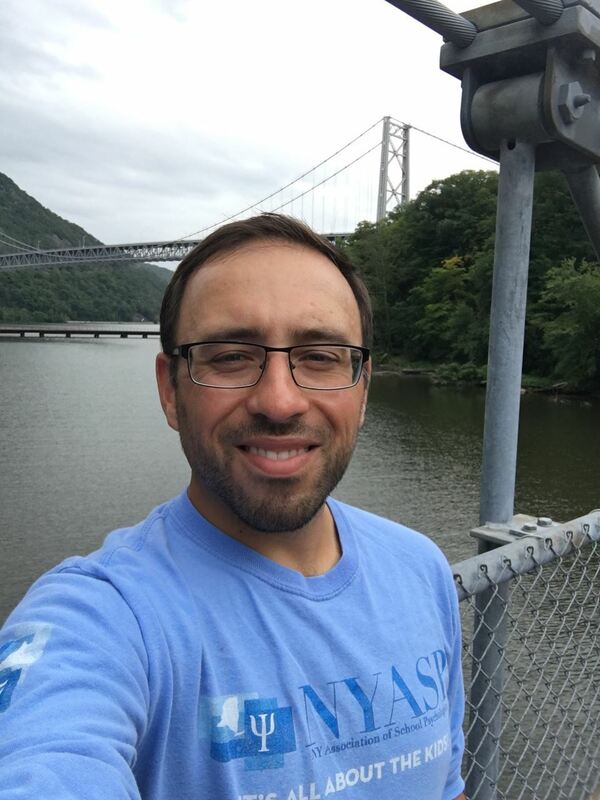 Prior to working in North Salem, he was a School Psychologist at Mahopac Middle School for six years (2008 to 2014) and a School Psychologist in the Ardsley Union Free School District for four years (2004 to 2008). 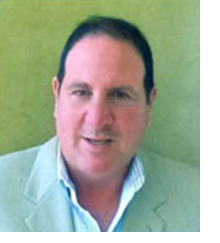 Don also maintains a group private practice with offices in Pleasantville and Mahopac, New York. He can be reached at membership@nyasp.org. Elizabeth (Liz) M. Power, Ed.D, is the NYASP Research Committee Chair. 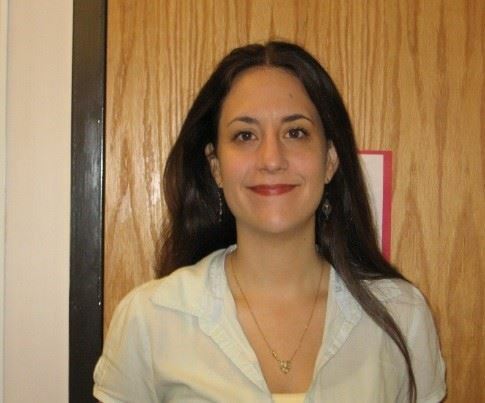 Dr. Power is an assistant professor in school psychology at the College of Saint Rose in Albany, NY. Dr. Power earned her Education Specialist (EdS) degree in school psychology at the Chicago School of Professional Psychology (TCS) in Chicago, IL in 2011. Dr. Power returned to TCS and graduated with a Doctorate in Education (EdD) degree in 2016. Dr. Power has practiced as a school psychologist for eight years, working predominantly with students in grades K-5. In addition to her work as a professor, Dr. Power works part-time for Questar III BOCES with children with low incidence disabilities. Dr. Power’s research interests include neuropsychology, gender and inclusion, and the national shortage of school psychologists.She can be reached at research@nyasp.org. Gary Schaffer, M. S./C.A.S. is a School Psychologist and author of the book Nuts & Bolts: Multi-Tiered Systems of Support: A Basic Guide to Implementing Preventative Practice in Our Schools and Community. Gary is currently employed by the NYS Office of People with Developmental Disabilities. 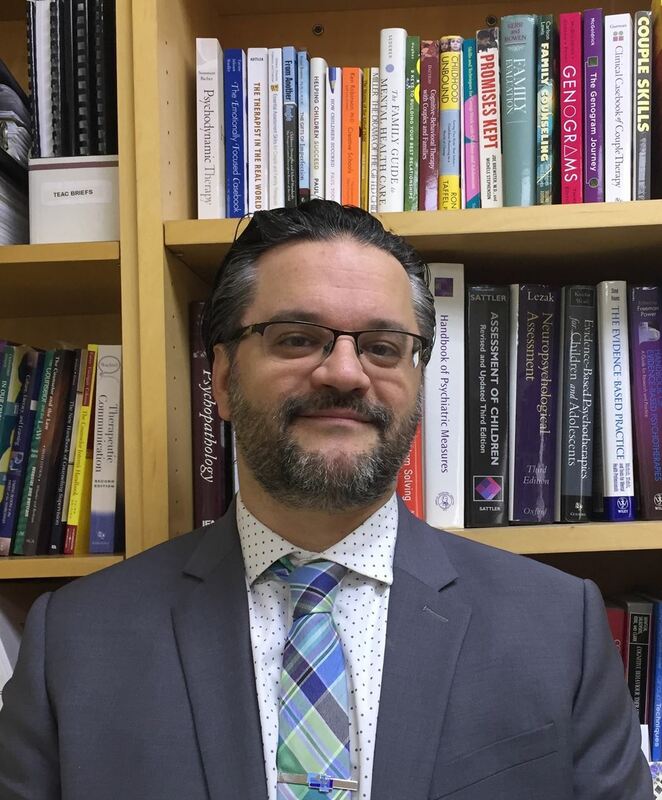 Additionally, he provides consultation and assessment services for the Erie County Medical Center and serves in the capacity of Professor of School Psychology and Counseling at Niagara University. Previously, Gary was employed by the NYS Office of Mental Health, Frontier School District, and Lansing School District. In June, 2015, Gary met with national legislators in Washington, DC to support the inclusion of Multi-Tiered Systems of Support in the Every Student Succeeds Act (ESSA). He has published numerous journal articles and provides professional presentations on Multi-Tiered Systems of Support. Currently, Gary is leading a national study on adolescents and adults with High Functioning Autism. 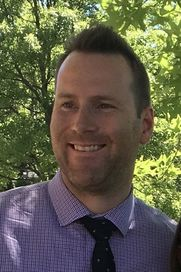 Dr. Andrew Shanock, the current Planning and Development Committee Chair, is an Associate Professor of School Psychology at the College of Saint Rose in Albany, NY. Dr. Shanock specializes in cognitive and academic assessment. Dr. Shanock has been a featured speaker at the national and state level for a variety of educational professionals, including school psychologists, speech language pathologists, and administrators. He consults with school districts around the country to promote issues such as collaborative assessment, Response to Intervention, and instructional support team building. Dr. Shanock’s presentations are informative, entertaining, and interactive. This is the longest paragraph that he has written without the excited use of an exclamation point! Arielle D. Sikora is the NYASP Marketing Chair and NYASP Store Manager. 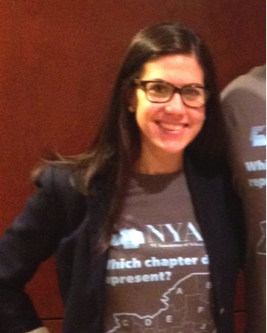 A proud supporter of school psychology, you may easily spot Arielle at our conferences decked out in the NYASP Store attire. She has served on the NYASP board for many years as Secretary, Treasurer, and originally a Student Representative. Arielle is currently in her 9th year as a practicing school psychologist in the Washingtonville CSD. She has practiced in the middle school and elementary school settings, as well as conducted the district’s preschool evaluations. She enjoys the various roles of the school psychologist, but most especially values carrying out interventions for behavior management and children with anxiety disorders. Dr. Anu Singh is the newly appointed NYASP co-chair for the Ethics and Professional Practice committee and the chair for the Urban Affairs committee. 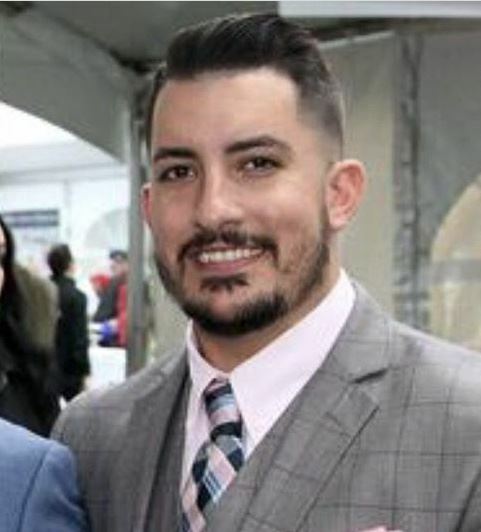 He graduated from Hofstra University’s combined Ph.D. program in Clinical and School Psychology and has worked in both clinical and school settings. For the past 14 years he has worked for the NYC DOE as a school psychologists and is currently positioned at the UFT headquarters in NYC as the Union Leader for all school psychologists and social workers employed directly by NYC DOE. His responsibilities include advocating for his colleagues, consulting with administration, answering questions, disseminating information, organizing meetings/socials/professional developments and defending colleagues when brought up on charges by administration and helping to shape the direction of the roles and responsibilities of clinicians in the DOE. 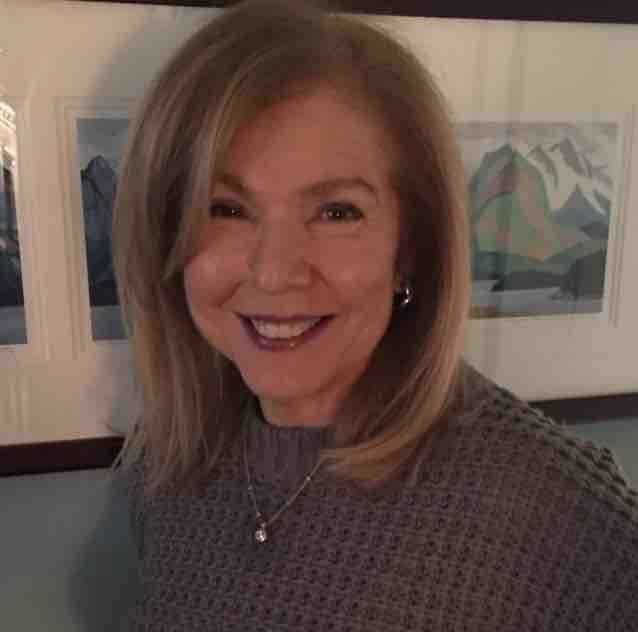 Ruth Steegmann is twice retired: from the West Seneca Central Schools in 2001 after 35 years, and more recently from the University at Buffalo in 2011 after ten years as Clinical Coordinator for the School Psychology and Counseling Psychology programs. Her major interests are in supervision and bullying prevention and intervention. She holds certification in NYASP’s Bullying Prevention Specialist Program and is a reviewer for that program. She is co-author, along with Judy Harwood, of NYASP’s School Psychologists’ Survival Handbook. Ruth and Judy are currently compiling a history of NYASP. Board positions which Ruth has held are Chapter C Rep, Publications Chair, and currently, Archivist and NYASP Historian. Lynne Thies is currently the Continuing Professional Development co-chair for NYASP. 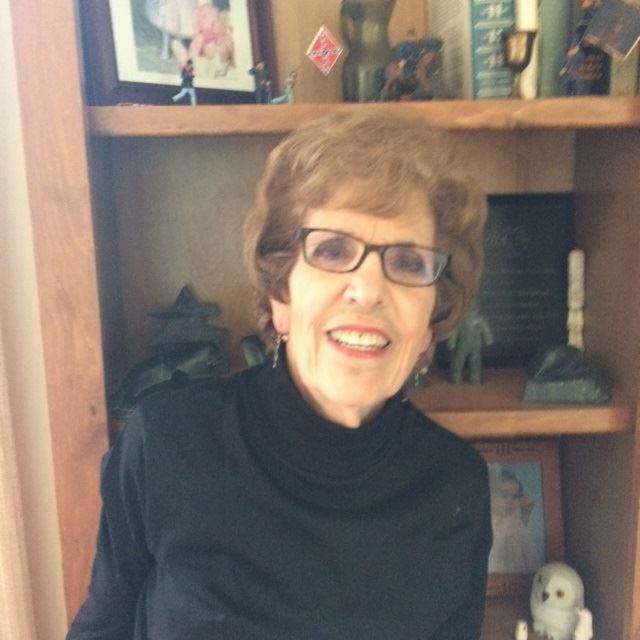 Lynne has been a NYASP Board member since 1983 when her graduate program director, Dr. Gil Trachtman, recommended her for Nassau County Chapter Representative. Also, she is a past president of NYASP (1998-2000) as well as a former NY Delegate to NASP. Lynne started her career as a resource room teacher for students with Learning Disabilities and then spent 33 years as a building-based school psychologist in 2 districts in Nassau County, Long Island. Lynne had the fortune and pleasure to train many school psychology graduate students during this time period. 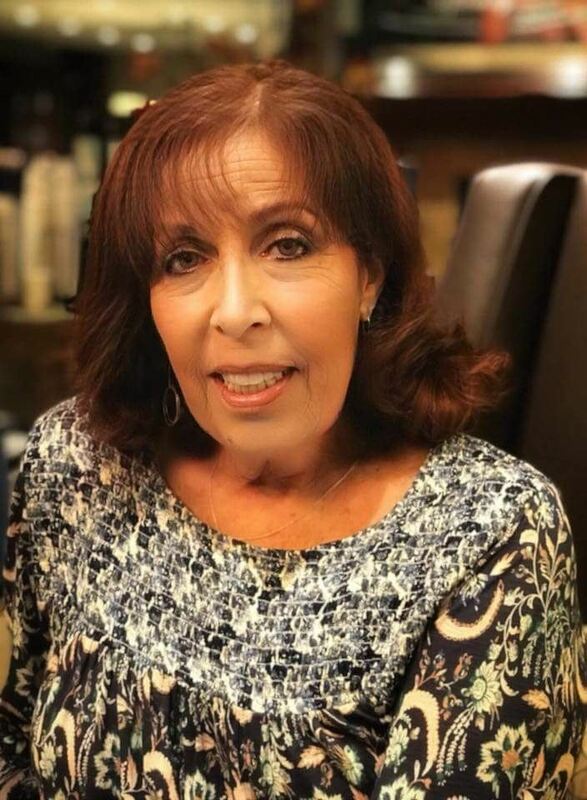 During this time as well as currently, Lynne has served as an adjunct faculty member in several of the local school psychology graduate programs (including St. John’s Adelphi, Touro, and Yeshiva). Areas of special interest and expertise include neuropsychological assessment, reading – instruction and disorders, school consultation, Response to Intervention, and training issues in school psychology. Lynne can be reached at lynthies@gmail.com. Sarah Shen is the Co-Chair of the Continuing Professional Development Committee. Cynthia Burns-McDonald, M.A./CAS , is the Chapter A Representative serving St. Lawrence, Jefferson, and Lewis Counties. She is also the Rural Affairs co-chairperson for NYASP. Cindy is the District Psychologist for the Ogdensburg City School District for the past sixteen years with ten years of experience at the elementary level and currently working at the Middle School and High School level. Her areas of interest include curriculum instruction, social/emotional learning, and best practices in school psychology. She is a member of the the district's Action Committee and Site Base Committee. Cindy is the Rural Issues Chairperson with an interest in diversity in the rural environment. She is also a member of Delta Kappa Gamma and is a member of the Research Committee. Aileen O'Connor, MA, CAS, NCSP, is the Chapter B Co-Representative encompassing Clinton, Essex, and Franklin County. Aileen graduated from SUNY Plattsburgh (Clinton County) with her Masters and Certificate of Advanced Study in School Psychology. Aileen lives in Essex County but commutes to Franklin County where she is an elementary school psychologist within the Malone Central School District. 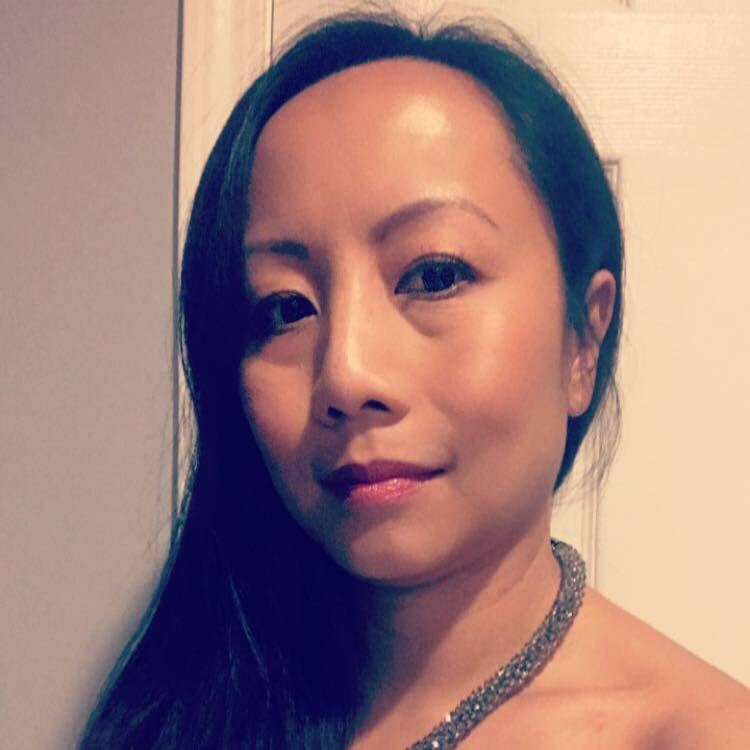 Aileen's professional experiences include crisis and behavioral management, counseling, early intervention, social-emotional learning, rural trauma/poverty initiative, and text-based crisis hotlines. Outside of school, Aileen enjoys exploring the Adirondacks hiking, cross country skiing, and kayaking as well as spending time with her husband and pet hedgehog, Sonic. Aileen can be reached at chapterb@nyasp.org . Allison Keller, M.Ed./Ed.S., is the Chapter C Representative, serving Erie, Niagara, Orleans, Wyoming, and Genesee counties. She is a NYS certified school psychologist employed by the Buffalo Public Schools, where she works as a monolingual psychologist in a bilingual school setting. 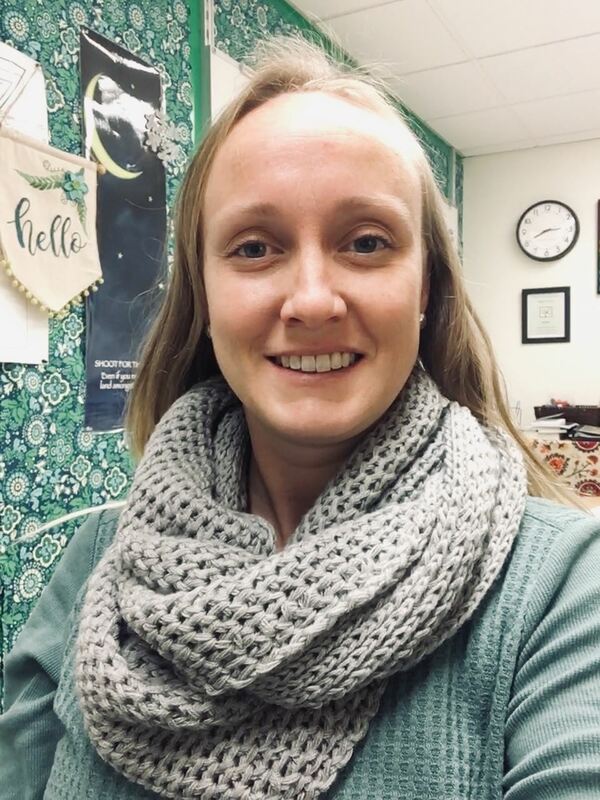 Allison's professional interests include effective collection and progress monitoring of RtI/PBIS/MTSS data using available technologies, as well as ADHD and Executive Functions. Allison lives in Cheektowaga, NY and hopes to rescue a poodle breed in the near future, and can be reached at ChapterC@nyasp.org. Lisa Hillyard is the Chapter C Alternate Representative. She can be reached at ChapterC@nyasp.org. Stacy B. Killings, Psy.D. is the Chapter D Co-Representative. 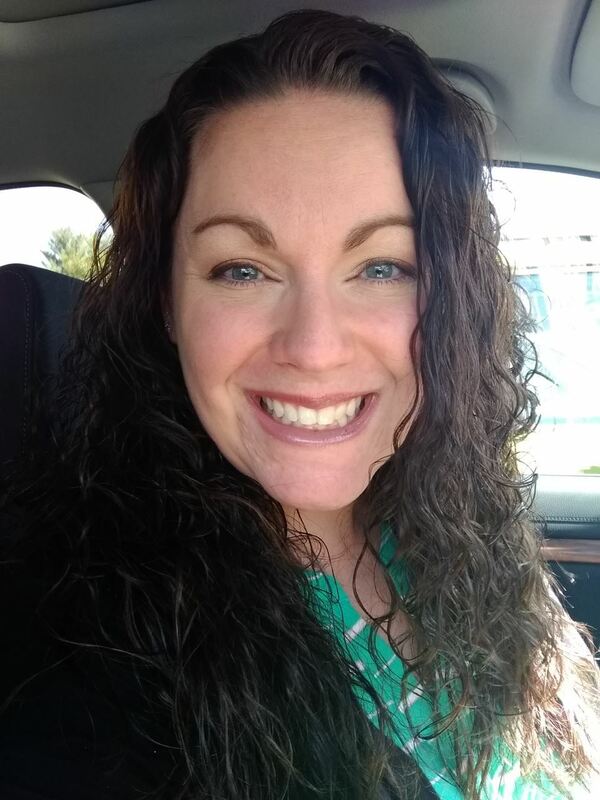 Stacy has been employed as a School Psychologist within the Gates Chili School District for the past 24 years and has worked part-time as a Crisis Therapist for Strong Hospital’s Mobile Crisis Team for the past 15 years. She has spent the last ten years in Gates working primarily with Emotionally Disabled students within a Behavior Management program. Stacy has served in many extracurricular capacities in Gates such as coaching cheerleading, modified track, and Step Team. She also advises the Multicultural Club and Savvy, a girl’s empowerment group. Stacy has traveled the world as a Professional Ambassador for the People to People organization, and has been exposed to diverse educational systems, cultures and principles. She is passionate about cultural diversity, racial sensitivity and awareness. She looks for opportunities to bring conversations about race into the forefront and work towards racial equity and Restorative Practices within the educational system. 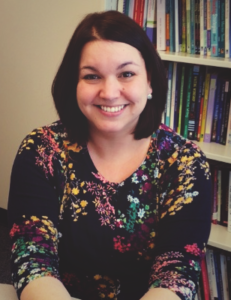 Stacy has taught graduate courses and professional development classes about Race and Cultural Diversity.Stacy is also a member of the Board of Directors for the Greater Rochester Area School Psychologists (GRASP). She has served on the Board of Directors for Compeer Rochester. She can be reached at chapterd@nyasp.org. 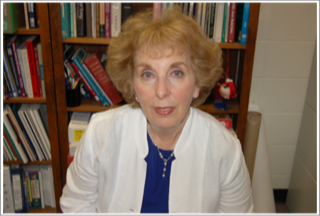 Anne M. McGinnis, Ph.D., J.D., is the Chapter D Co-Representative. Anne is an attorney at Harris Beach PLLC and represents school districts for matters related to special education, general education, and labor. 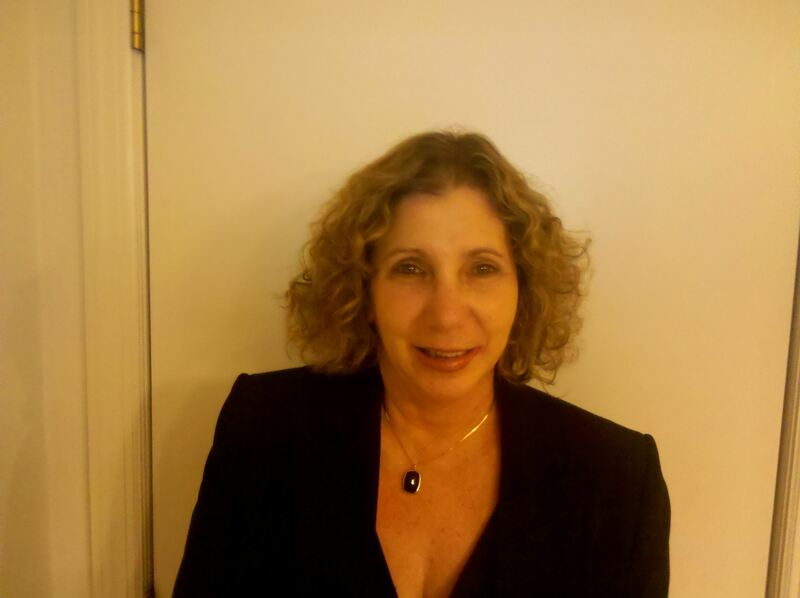 Prior to becoming an attorney, Anne was a school psychologist on Long Island for five years. She combines her background in law and psychology by frequently delivering presentations and trainings on education law, chairing CSE meetings, and developing IEPs, Section 504 Plans, FBAs, and BIPs. Anne received her J.D. from St. John’s University School of Law, her Ph.D. and M.Ed. from the Pennsylvania State University, and her B.A. and B.Mus. from the University of Hartford.She can be reached at chapterd@nyasp.org. 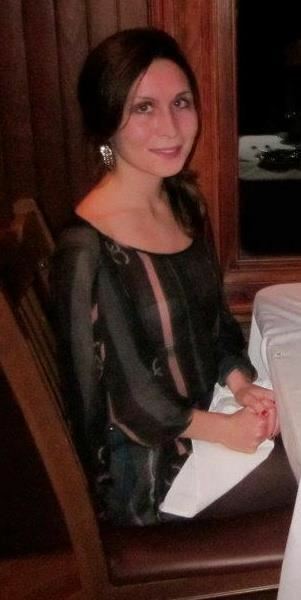 Sara Dool is the Chapter E Co-Representative for the counties of Onondaga, Oswego, Madison, Oneida, Cayuga and Cortland. 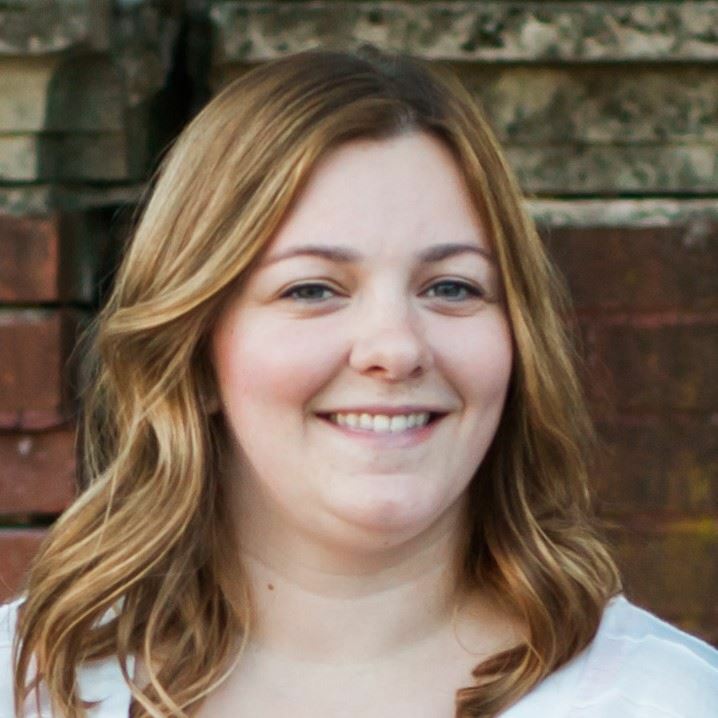 Sara received her BA in Psychology from Syracuse University and MS in School Psychology from SUNY Oswego in 2014. She is a Nationally Certified School Psychologist. Sara has worked as an elementary school psychologist for Liverpool Central School District since 2014. She is also a Therapeutic Crisis Intervention for Schools (TCIS) trainer for the district. Sara’s professional interests include interventions for behavior management, social-emotional learning, and childhood anxiety. Eliane Keyes is a Chapter F Representative for the counties of Fulton, Hamilton, Herkimer, Montgomery, Saratoga, Warren and Washington. She is also the Assistant Newsletter Editor and the 2018 Conference Co-Chair for the NYASP Conference in Lake Placid, NY. Eliane graduated from Marist College with her MA in School Psychology and currently holds an elementary school position in Queensbury (Warren County), where she has worked since 2007. Eliane's professional interests include Restorative Justice practices, as well as assessment and intervention for reading disabilities. Eliane can be reached at chapterf@nyasp.org. Rachel A. Roth, Ph.D., is a Co-Representative to Chapter G for Allegany, Cattaraugus, and Chautauqua counties. She is an Assistant Professor of School Psychology at Alfred University and a licensed psychologist in New York State. 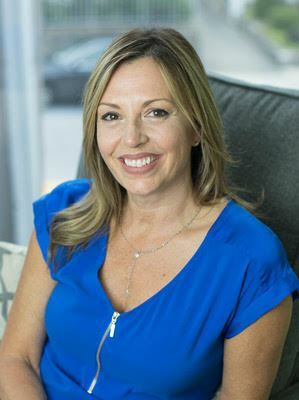 Dr. Roth earned her Ph.D. in School Psychology from the University of South Florida in 2015 after completion of an APA-accredited internship at Franciscan Hospital for Children in Boston, MA. She also completed a full-time postdoctoral fellowship in professional psychology at Boston Children’s Hospital prior to joining the faculty at AU. She is the internship coordinator at AU and teaches a variety of courses related to cultural diversity, social-emotional assessment, and the roles and functions of school psychologists. Dr. Roth’s primary professional interests include tiered school-based mental health services and promoting student’ subjective well-being. 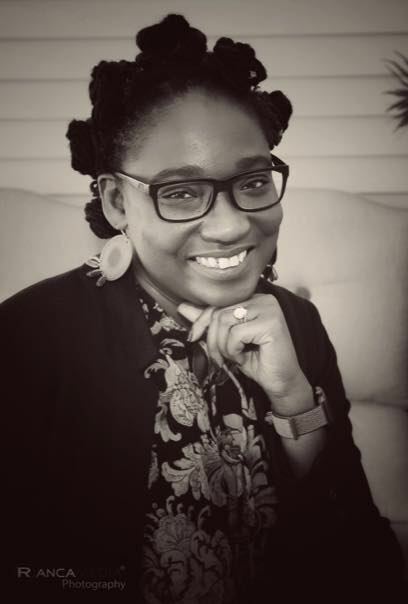 Her research interests include the impact of social media usage on adolescents’ well-being, provision of evidence-based mental health services within an MTSS framework, and positive psychology interventions applied to youth in school settings. She can be reached at roth@alfred.edu. 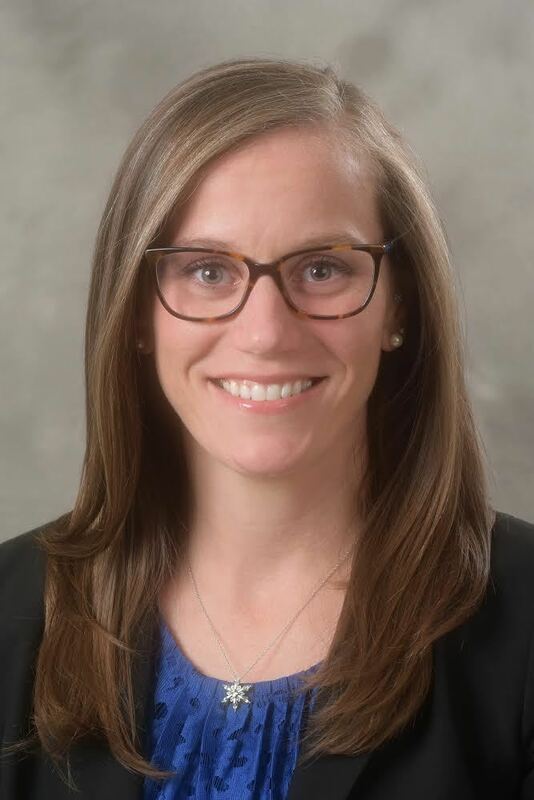 Megan Alger, Psy.D., is the Chapter H Co-Representative for Chemung, Livingston, Schuyler, Steuben, and Yates counties. 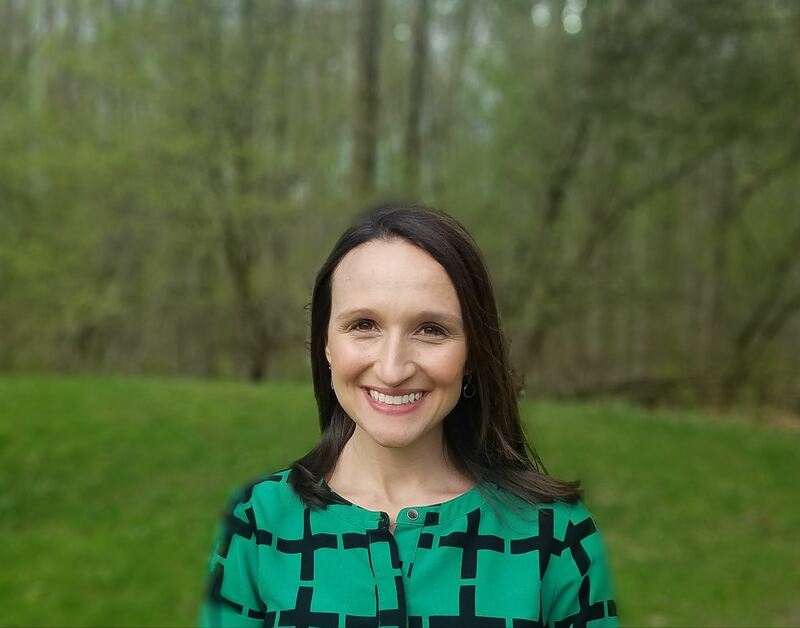 Megan is a NYS certified School Psychologist and NYS Licensed Psychologist with the Dansville Central School District in Dansville, NY, and also serves as the district Chairperson for the Committee on Preschool Special Education. She is an adjunct instructor for Alfred University’s Counseling and School Psychology graduate program. 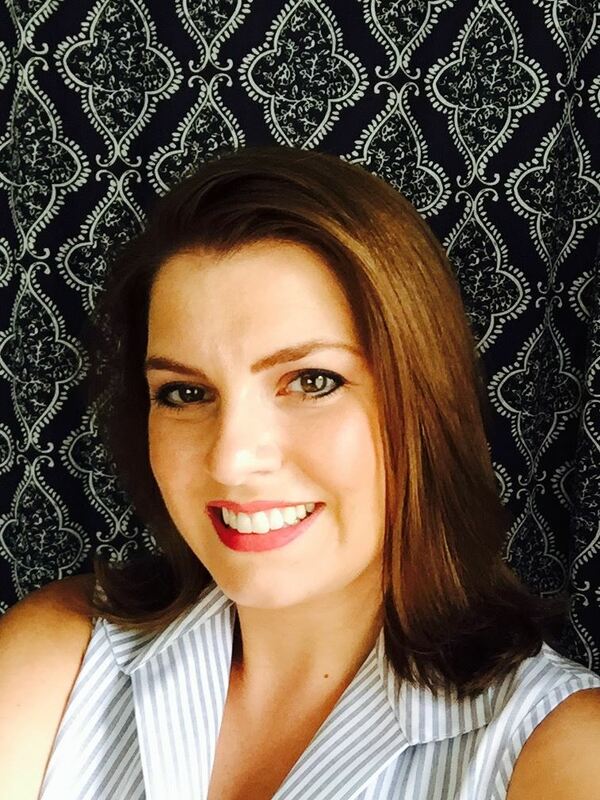 Megan’s professional interests include organizational and systems level change initiatives, particularly related to behavioral and social/emotional multi-tiered systems of support, preschool special education, and consultation practices in the school setting. Megan can be reached at megan.w.alger@gmail.com. Jolene Koehler, MA/CAS, NCSP is the Chapter H Co-Representative for Chemung, Livingston, Schuyler, Steuben and Yates counties. Jolene is a school psychologist at Campbell-Savona Elementary School in Savona, New York. 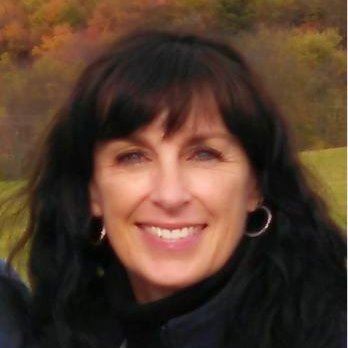 In addition, she serves as a Positive Behavior Interventions & Supports (PBIS) coach, CPSE & K-6 CSE/504 Chairperson for the elementary school, and is a coach for Girls on the Run (GOTR) of the Southern Tier. Her professional interests include therapy dogs and ADHD. She is currently training her curly-coated retriever, Keukeley to become a certified therapy dog. Jolene can be reached at jolenekoehler@cscsd.org. Moira Mascelli, MS Ed/CAS, BCBA is the Chapter J Representative for the counties of Albany, Columbia, Rensselaer, Schenectady, and Schoharie. 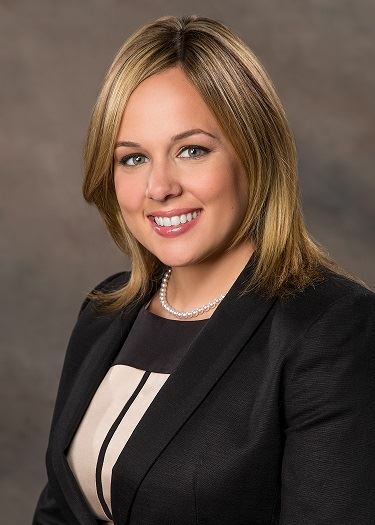 Moira earned her graduate degree in School Psychology from the College of Saint Rose in 2010. She additionally earned an advanced graduate certificate in Applied Behavior Analysis from the Sage Graduate School in 2016. Moira works as a Behavior Specialist for the City School District of Albany. Moira is a Therapeutic Crisis Intervention for Schools (TCIS) trainer, as well as a Level 1 Certified Trauma Practitioner-Education. Her professional interests include mental health, cognitive assessment, and functional behavior assessment and intervention planning. Moira can be reached at chapterj@nyasp.org. Ashley Billings, MA, is the Alternate Chapter K Representative. Ashley is a school psychologist at Franklin D. Roosevelt High School in the Hyde Park Central School District. She has worked with diverse student populations in suburban and rural communities in New York. Her interests are in PBIS, school safety, and crisis intervention. Dawn Catucci, MS Ed, PD is the Chapter L Co-representative for Westchester, Rockland and Putnam Counties. Dawn is a School Psychologist at Ardsley High School in Westchester County NY. Dawn is comprehensively trained in Dialectical Behavior Therapy (DBT) and Cognitive Behavior Therapy (CBT) and utilizes these evidenced based practices in her school setting. Dawn is a Diplomate, Academy of Cognitive Therapy and Certified Cognitive Therapist. Dawn can be reached at catdawn1@aol.com. Roberto Collado, Psy.D. is the Chapter N Representative for New York City. He can be reached at chaptern@nyasp.org . Annie S. Huang, Psy.D. is the current NYASP Chapter P Representative for Suffolk County. Annie received her BA in Psychology from New York University and her M.S. and Psy.D. in School Psychology from St. John’s University. Annie holds a NYS Certification in School Psychology with Bilingual Extension. Annie has been a school psychologist in a suburban high school on Long Island since 2004. 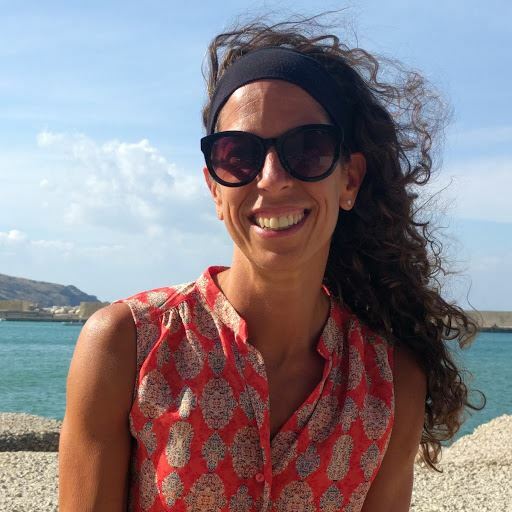 In addition, Annie is an adjust assistant professor for the Educational and Community Programs in School Psychology at Queens College, New York where she has taught theory and practice in cognitive assessment since 2013. Annie has also been a consulting bilingual school psychologist for the Nassau County Board of Cooperative Educational Services for 8 years. While a graduate student and during the early part of her career, Annie was also a per diem bilingual counselor under clinical supervision at The Child Center of New York where she provided bilingual counseling services to children, adolescents, and adults for 6 years. 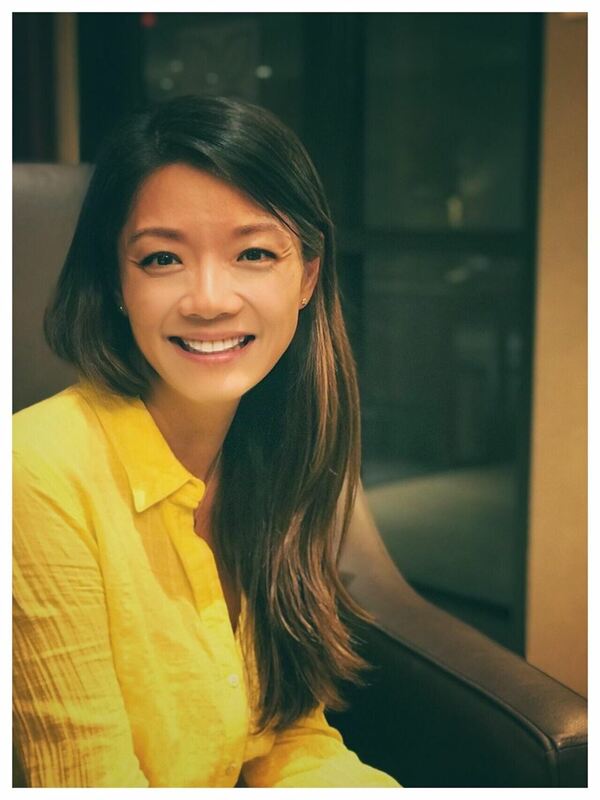 As a former English Language Learner, Annie is passionate about providing best practice services to culturally and linguistically diverse students and training future school psychologist to be sensitive to their needs in various settings. Annie is a baseball fanatic who loves her Yankees and plans to visit all 30 baseball stadiums as a part of her bucket list with 7 down and 23 more to go! She can be reached at chapterp@nyasp.org. Brandon Andersen, M.S., the Alternative Chapter P Representative for Suffolk County. Mr. Andersen earned his Bachelor's degree in psychology from Marist College and his Master's of Science degree from St. John's University. He currently works as a school psychologist in a high school for students with multiple and severe disabilities at Western Suffolk BOCES. Mr. Andersen is specially trained in Crisis Prevention Intervention (CPI) and has served on his school's Behavior Intervention Plan (BIP) committee. In his free time, Mr. Andersen enjoys supporting the St. John's University basketball team and keeping his fingers crossed for a New York Met's championship. 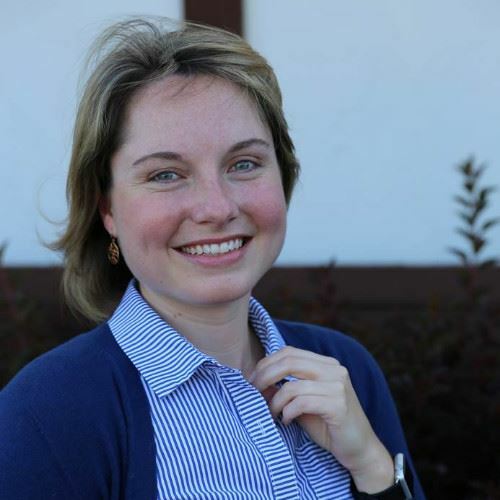 Amy Fisk is the NYASP Student Liaison Leader and Job Network Coordinator. She received her Bachelor’s Degree in Psychology in 2013, and her Master’s Degree and Certificate of Advanced Study in 2015 from Alfred University. Amy is in the process of completing her doctorate in school psychology, and is a Nationally Certified School Psychologist. Amy has experience in the K-12 schools, as well as in disability services at the college level. She is currently the Cornerstone Program Coordinator at Purchase College, providing individualized intervention and support for college students who identify with an Autism Spectrum Disorder. Her primary research interest is in the area of postsecondary education transition for students with disabilities. She can be reached at students@nyasp.org. Chris Baber, B.S., is one of the 2017-2019 NYASP student representatives. Chris is a student in the SUNY Oswego School Psychology, M.S./Advanced Certificate program. Chris is entering his internship year where he will be in Liverpool, NY. He has spent the past two years as a graduate assistant in the Accessibility Resources office where he was in charge of the note taking program as well as testing accommodations. His professional interests include the assessment of learning disabilities, socio-emotional and behavioral assessment, and PBIS/MTSS. In his free time, Chris enjoys playing ultimate frisbee, baseball, and loves spending time with his cats and rambunctious and loving pitbull. 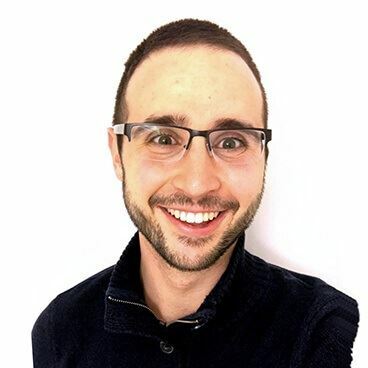 Paul Vespo is a third-year candidate in the school psychology graduate program at Marist College in Poughkeepsie, New York. 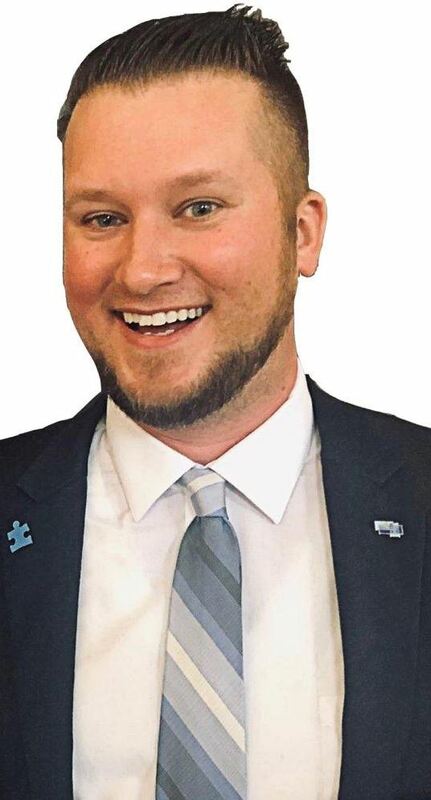 He is currently a 2017-2019 student representative for the New York Association of School Psychologists (NYASP), a student leader for the National Association of School Psychologists (NASP), and the Division 16 student leader for the American Psychological Association of Graduate Students (APAGS). 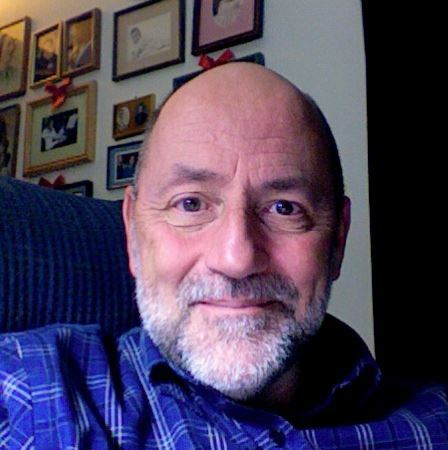 With these positions, he has been able to collaborate with graduate students and practitioners in the field, as well as others in the different disciplines of psychology. He has also been conducting research on bullying, writing, and emotional intelligence. During his free time, he enjoys running, hiking, and going to the beach with his friends. Katherine Cummings is the NYASP Student Representative Elect. She is a second-year graduate student at the College of Saint Rose. She is interested in the field of neuroscience, and how the impacts of such research can be used to help students with cognitive, emotional, and behavioral disorders. 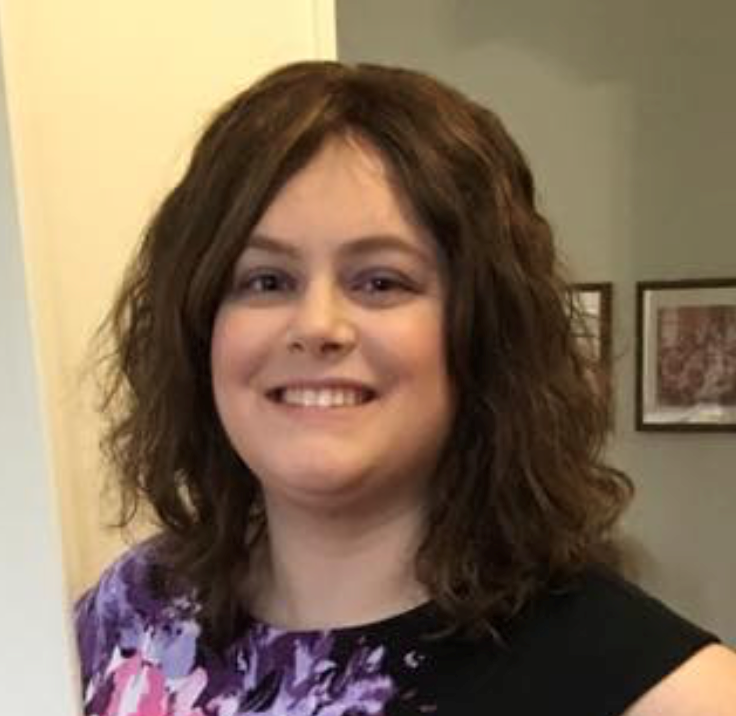 Katherine recently presented her research on Body Dysmorphic Disorder at the Summer Institute of School Psychology conference at McGill University in Montreal, Canada. As an undergraduate student, Katherine studied neuroscience, and chose the psychology track, along with the pre-medical curriculum. She most enjoyed psychology courses and felt that they were most practical to pursuing my professional goals. Her interests were in clinical and school psychology. Katherine’s hobbies include running, hiking, skiing, and playing tennis. In September 2017, Katherin became an Adirondack 46er. She has run competitively for 14 years. She enjoys learning from and collaborating with others. She is looking forward to being part of the NYASP board and making a difference for as many people as possible. 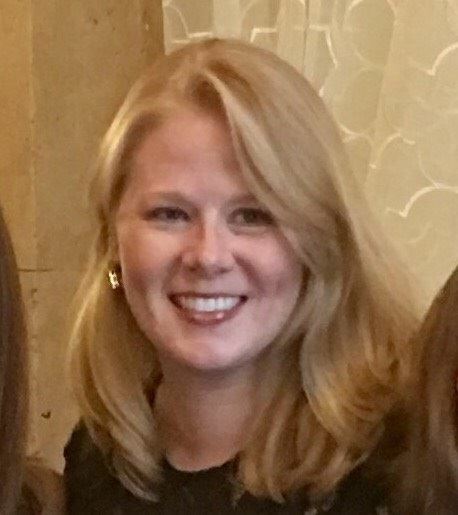 Nicole Maether, M.S., is the NYASP Student Representative Elect. She is a School Psychology M.S./C.A.S. student at the State University of New York at Oswego. Nicole received her M.S. in Child and Family Health in the Global Community at Syracuse University in 2015 and her Bachelor of Arts in Human Development from SUNY Oswego in 2010. 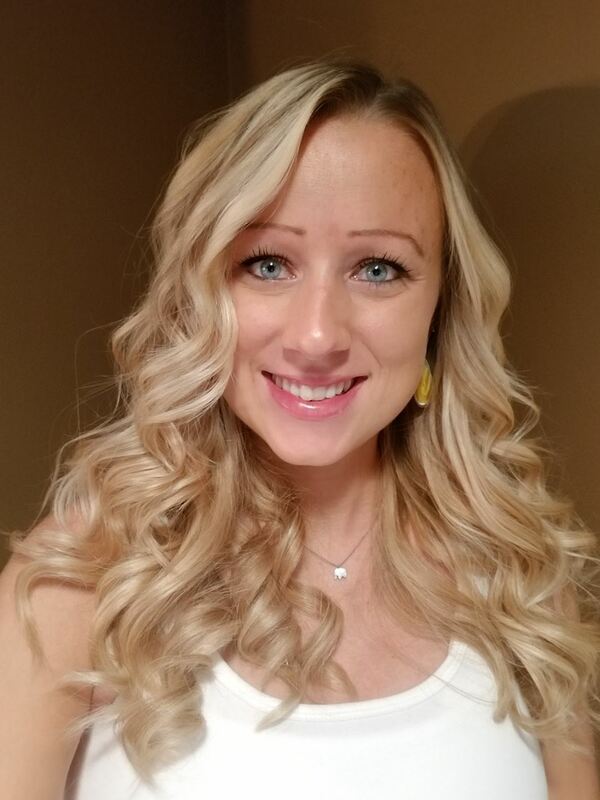 Nicole has worked in a public school district as a Teaching Assistant, in a behavioral health outpatient facility as an Early Recognition Specialist/Program Counselor, in numerous research labs as a Research Assistant, and as a Clinical Research Data Analyst. Currently, Nicole is pursuing a M.S./C.A.S. in School Psychology, while working as a Graduate Assistant at SUNY Oswego. Her interests include advocating for children and families, promoting psychological well-being, and gathering comprehensive data to guide decision-making.